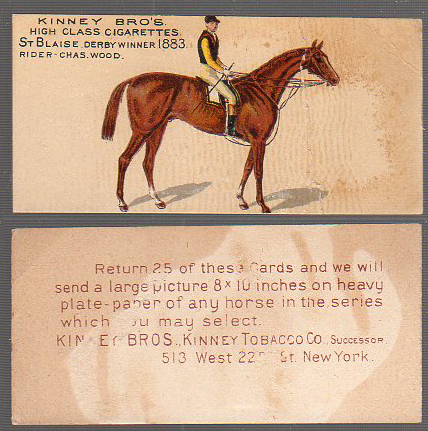 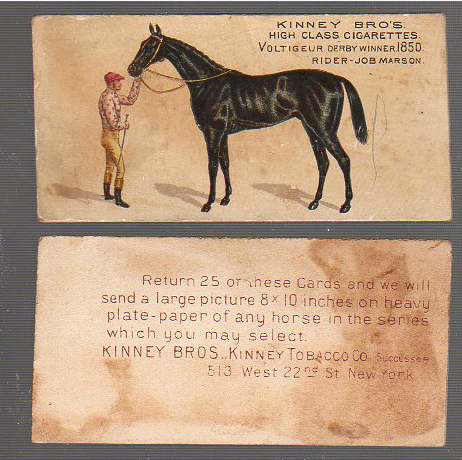 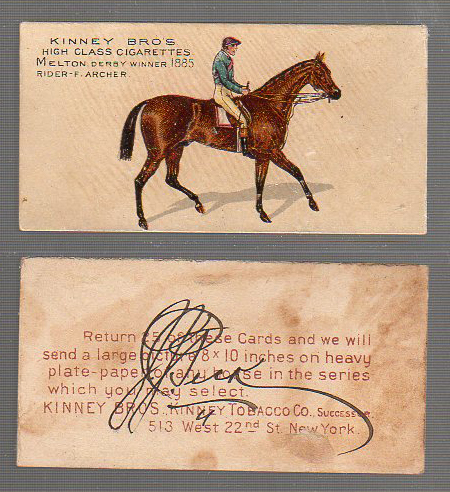 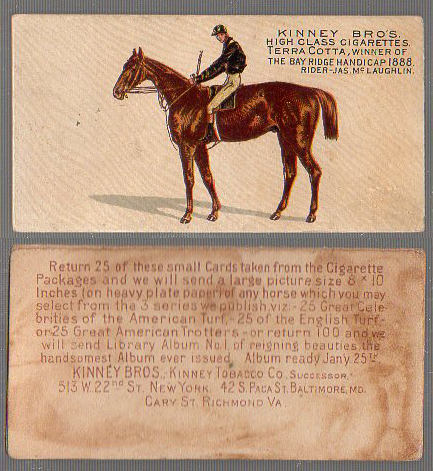 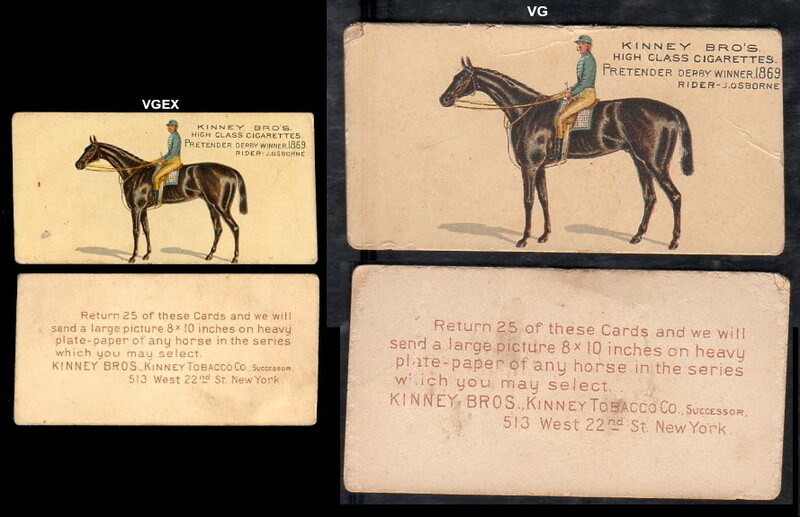 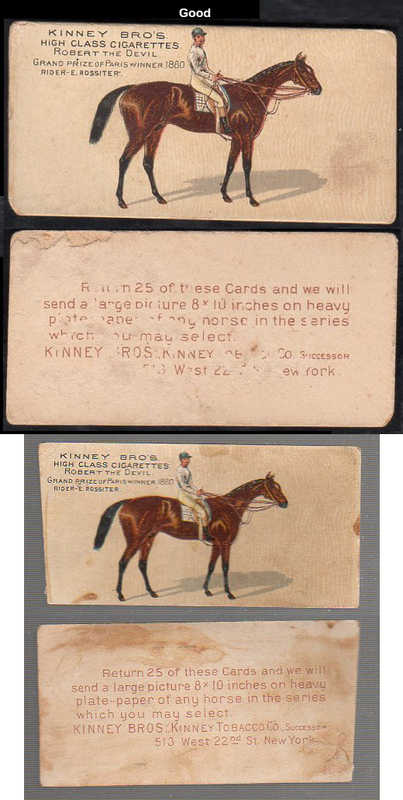 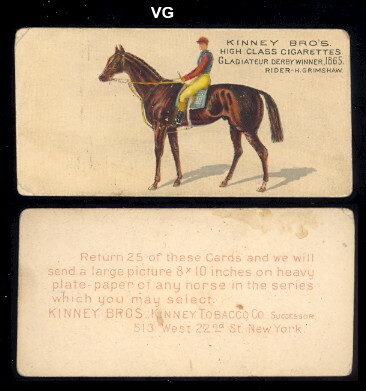 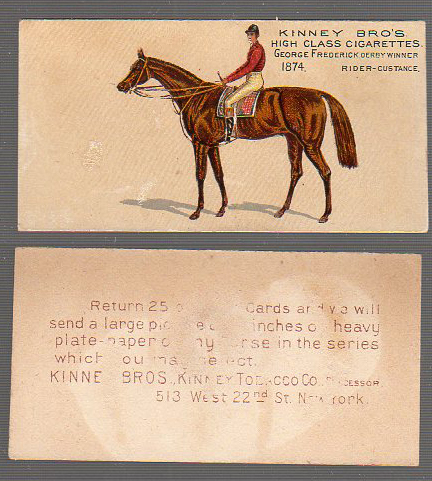 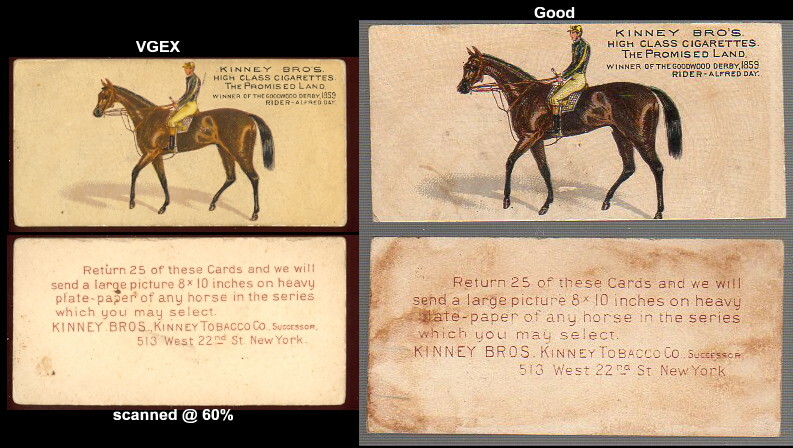 Kinneys three horse issues show trotters with their sulkies and riders, & famous English and American Mounts. 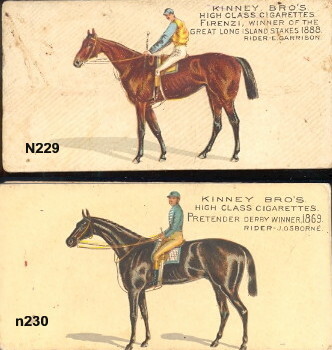 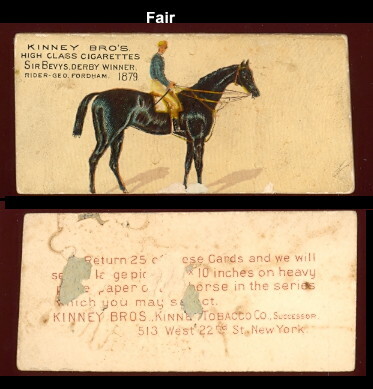 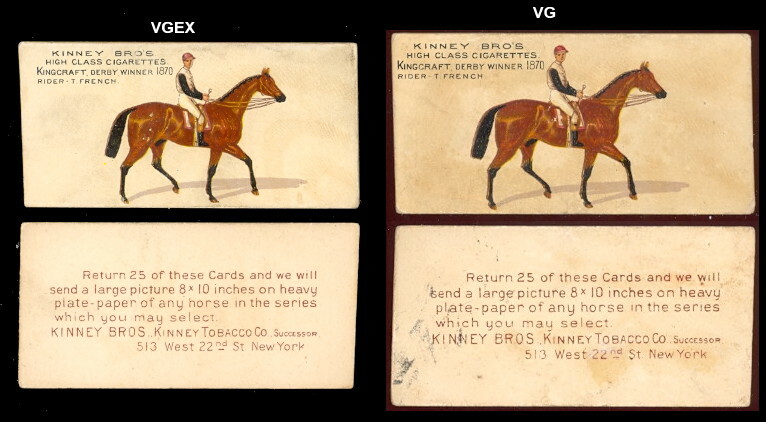 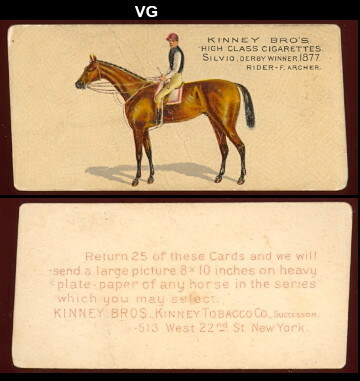 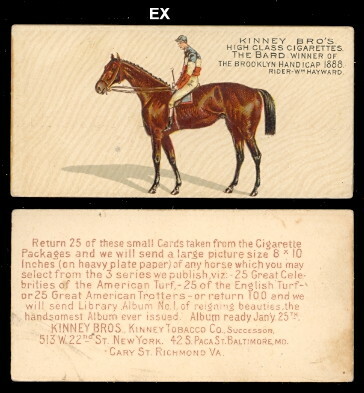 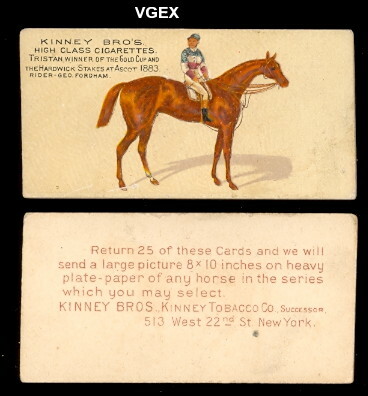 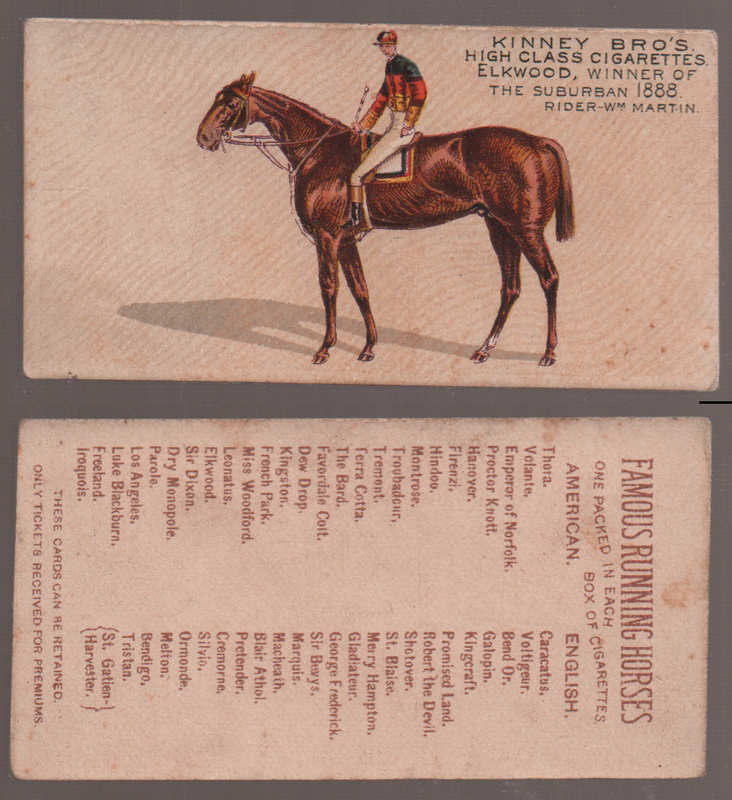 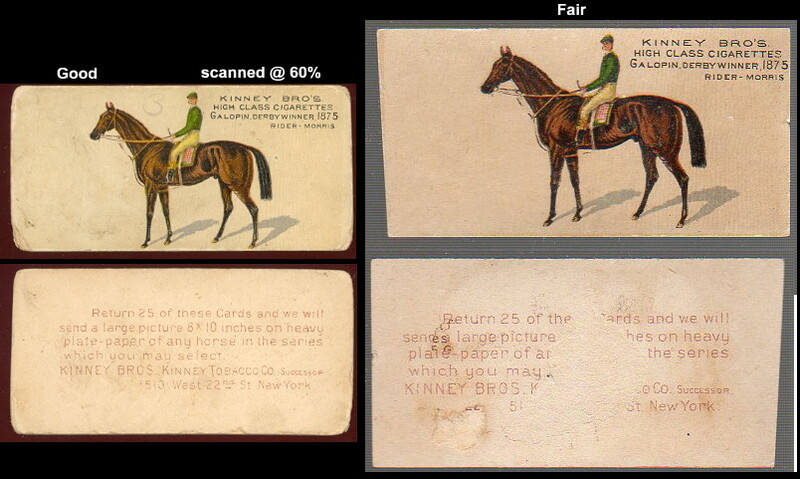 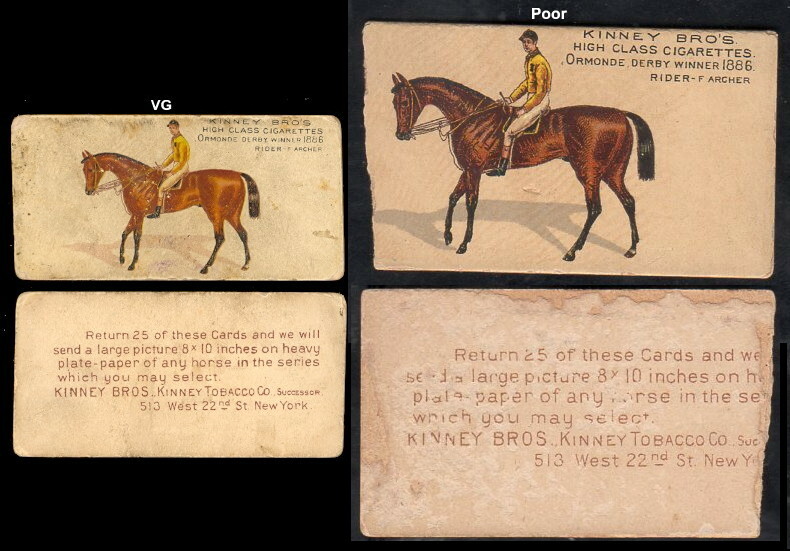 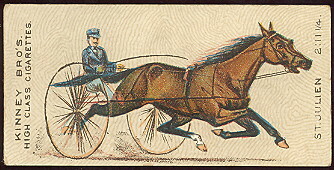 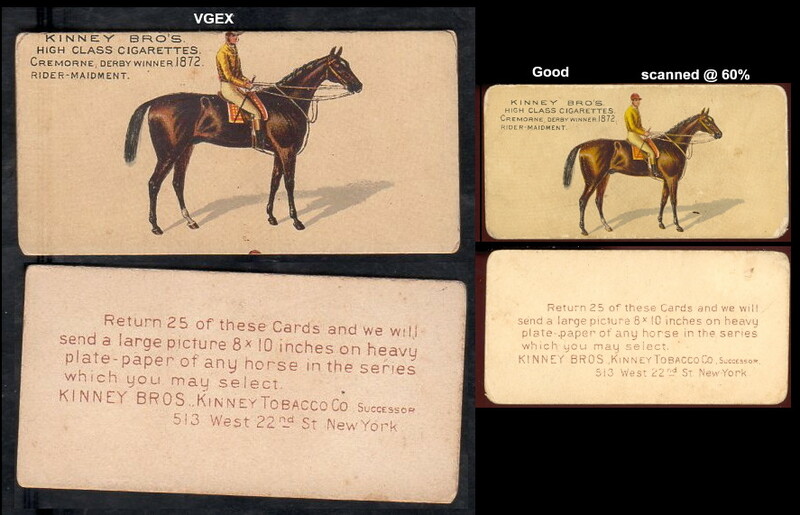 There are 25 cards in each issue which were produced in 1890. 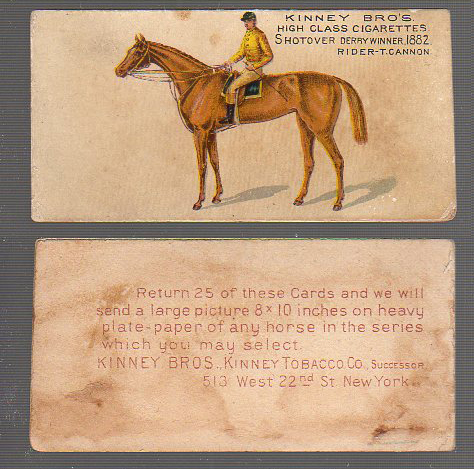 These measure 1-3/8" X 2-3/4", and have a premium offer for Kinneys on the back.